Have you ever been offered a product that claims to be "nothing but ingredients you'll love."? Reading this on a bag may make you want to purchase said product or even eat it right there in the store. What if the product was low in calorie? Am I saying all the right things yet? Try out Angie's Popcorn and see what I'm talking about! We’re always testing new flavors and putting out our absolute favorites as limited editions or new products. And, as always, Angie personally tastes and approves every new product that leaves the building! Boomchickapop also came along as the little sister to Angie’s kettle corn and popcorn. Like many siblings, they were born in the same place and to the same people, but with distinct personalities. My first run in with Angie's Boom Chicka Pop was like a made for TV moment! I need snacks that are low in calorie and delicious. Boom Chicka Pop has different flavors that can fit your mood as well. They sent me 4 different varieties to try out and share with you guys. Out of the four flavors sent to me, the Lightly Sweet Popcorn was my favorite. The sweetness reminded me of a Kettlecorn and was perfect to kill the sweet tooth craving. I was able to pour some in a bowl and snack while watching TV or working online. Also, check out that Calorie count! Only 37 calories per cup! Who can beat that with a sweet and crunchy snack? Next I ate up the Caramel and Cheddar Popcorn Mix! Yummm! This mixture really does make you want to eat and eat and eat until its all gone! The caramel was crunchy with the cheddar being a soft popcorn in texture. The flavors mesh well, just like friends since the beginning! The children in the house surprised me and went for the Sea Salt Popcorn over the sweeter ones. So, if that doesn't say something, you'll just have to try it out for yourself. I did manage to get a bit from them and I love the subtleness of the sea salt. It wasn't so strong that I had to drink a gallon of water while eating a bowl. The last flavor sent was the White Cheddar Popcorn. This variety is just as good as the other, but it left me a little thirsty. After I drank some water, I needed more! The cheese flavor is spot on. I'd buy it, for sure! The texture of each flavor was a little different. Some were crunchy, some were really soft and some just like a popcorn you'd get at the movie theater. I do think this popcorn is better than what you can buy for $10 a bucket at the theater. It's quite a bit cheaper too! I've seen it in my local grocery stores and I'm telling you.. 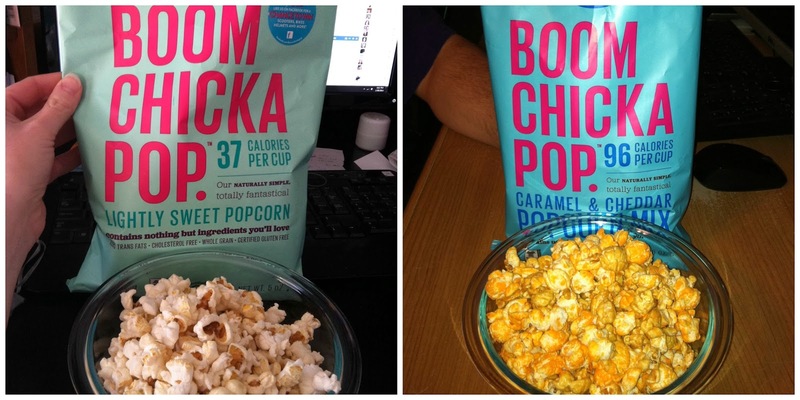 If you haven't had Angie's Boom Chicka Pop Popcorn yet, you are missing out! Hurry out to pick up the bag that claims to be "nothing but ingredients you'll love!" Disclosure: A special thank you to Angie's Popcorn for giving Sweet Cheeks and Savings this opportunity to work with them. We received these items free of charge from Angie's Popcorn. No monetary compensation was received or offered, nor were we under any obligation to write about this product. All opinions expressed are honest thoughts. We were not offering any sales or taking orders for this item. We will not receive any compensation in connection with any sales of this item. I buy Boom Chicka Pop every week when I go grocery shopping. It's SO good and low in calories....what's not to love? We love to try different types of popcorn when we are having movie night here at home. Oh you are so speaking to my stomach right now. I'm a huge Popcorn addict! These look and sound delicious. My hubby is the popcorn lover in the family. He would love to try these different yummy flavors. I love flavored popcorn. It's been a while since I had some. I would love to try Boom Chicka Pop. I've never heard of this before, but I'll look for it! We are big popcorn eaters! I haven't tried this popcorn, but I love the name! I'll have to see if it is carried in our stores here. I think I would really love the white cheddar flavor! I've recently started seeing this in grocery stores and was curious about it. I just really like the name! I'll have to try it out! I've been thinking about trying this stuff, thanks for the review! I want to try the Sea Salt especially. I have heard of this but I haven't actually tried it. I think everyone in my house would like different flavors so I'm glad to know there are a variety to try. 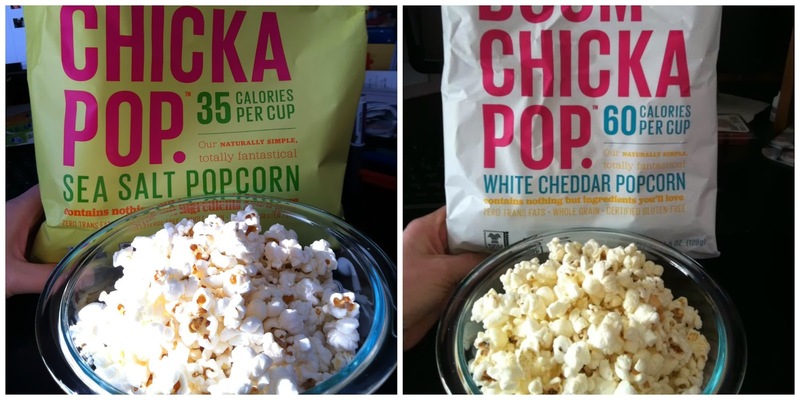 I think I'd like the white cheddar best so I'm going to look for Boom Chicka Pop on grocery day. We love this brand! We buy it at Costco. I would love to try the lightly sweet, 35 calories per serving is great. Of course I like the sound of all of them but the sea salt, for some reason I never like salt on popcorn. Popcorns are my favorite back then - miss having then in snacks. I'd love to try those not to mention quite fewer calories in it too. I can tell you right now the white cheddar is all me. My boyfriend would be on the caramel corn! I love flavored popcorn, this is the first time I have heard of this brand.